Hollybeary Creations : Friday Mashup... We're going back to school! Friday Mashup... We're going back to school! Today I have 3 post for you... so be sure to check back later for more fun projects!!! 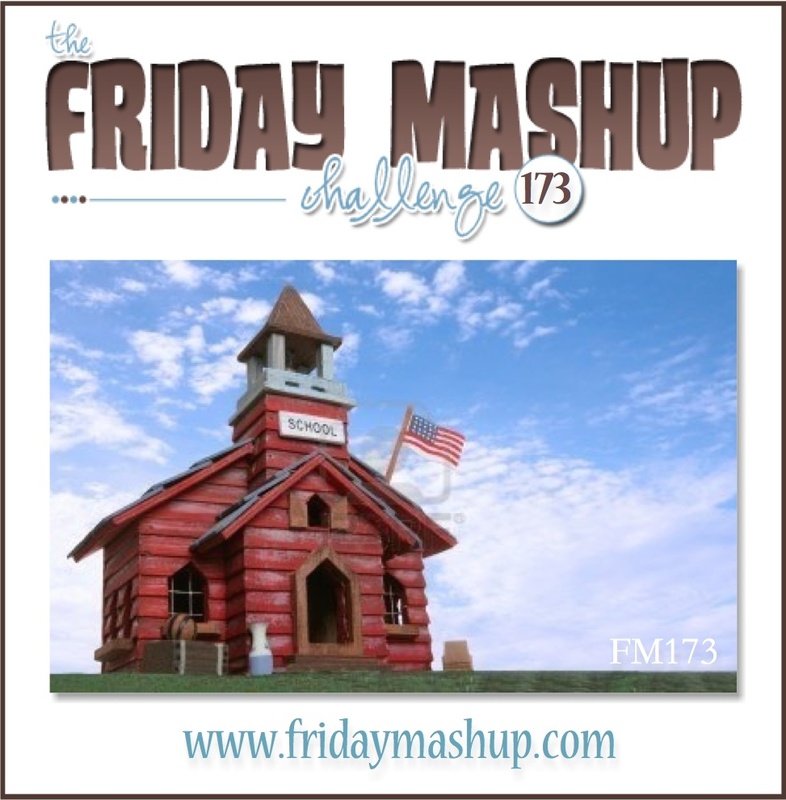 It's Friday and time for a new Friday Mashup Challenge this week our hostess is Cindy and she's taking us back to school. We're Mashin' Up! A School themed project with "your" school's colors. I decided to not Mash it Up! this week and just go with a School themed project. 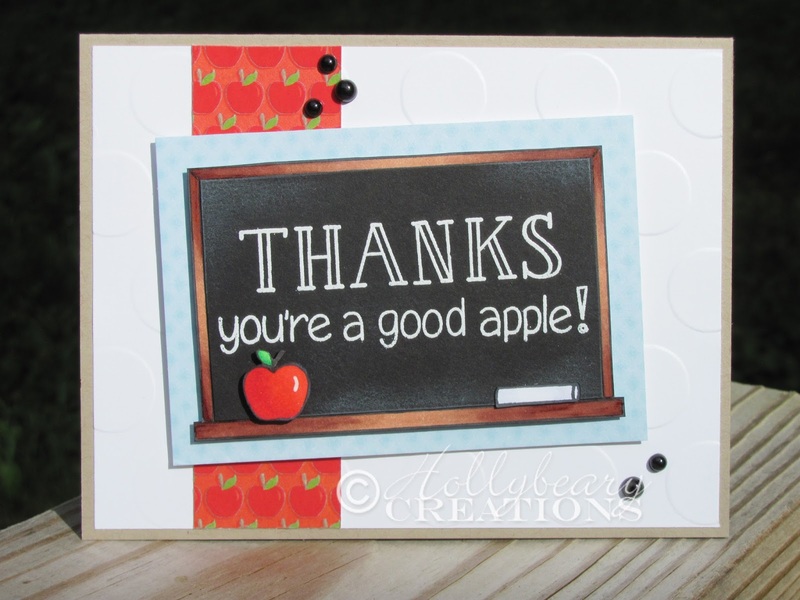 I'm getting a head start on cards for the Teachers..lol I started with a Crumb Cake card base and then I added a piece of Whisper White card stock that I embossed with the Large Polka Dots embossing folder. Then I added a strip of pattern paper from the DCWV Edumacation pack. 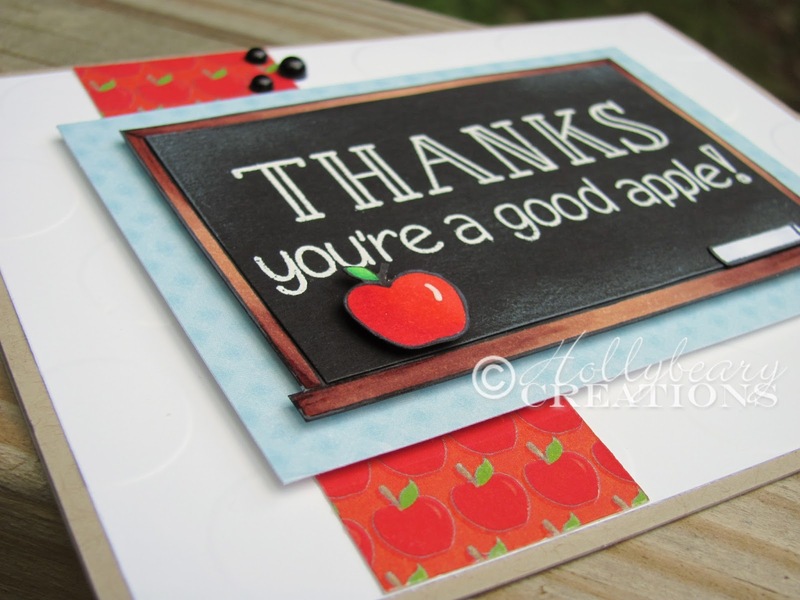 Then I stamped the Chalkboard image from Lawn Fawn called "A good apple" onto a piece of white card stock and colored it with Copic Markers and cut it out.. I also cut out the apple & piece of chalk after I colored them. 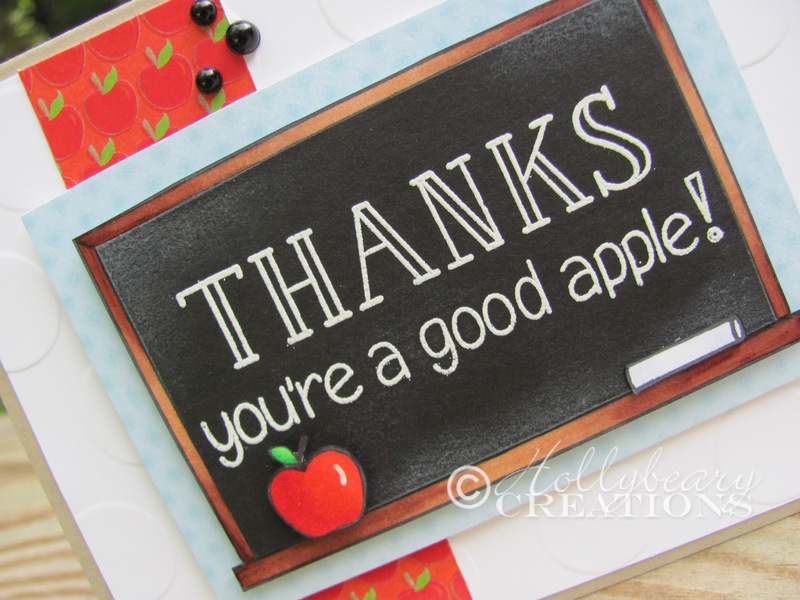 I cut out jus the center piece of the chalkboard from a piece of Basic Black card stock and heat embossed the sentiment from the same set onto it in White. Then I rubbed a little White ink around the edges for the chalk board look and adhered it to the center of the chalk board image. I matted the chalk board image onto another piece of pattern paper from the same stack and then I added it to the front of the card. I added the apple and piece of chalk along the bottom of the chalk board image. To finish it off I added some epoxy bubbles from CTMH. This came out really cute!! Be sure to head over to the Friday Mashup blog and see what the other Design team members created for you this week.. We hope you will link up and join us! The challenge is open until Wednesday @ 6pm EST.